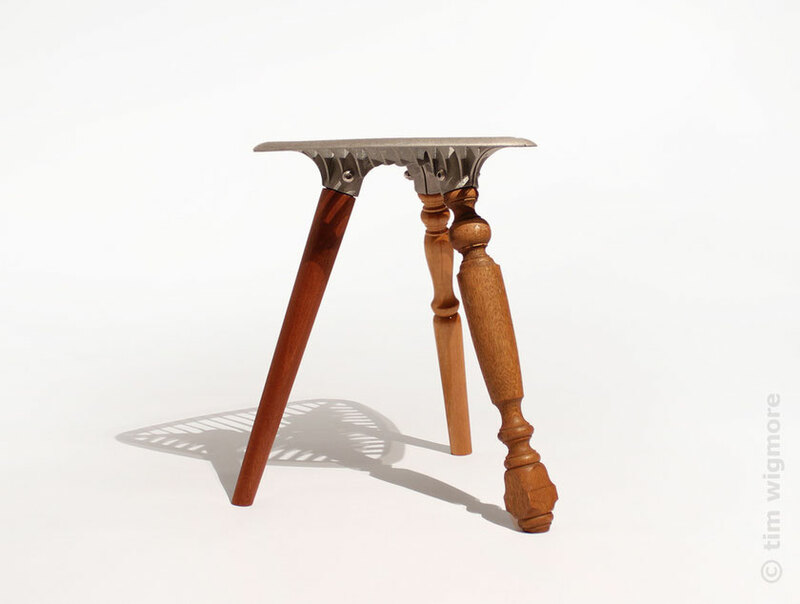 The Salvage stool explores the point of contact between a refined industrial aesthetic and a mixture of mellow timber dowel and woodshop/junkshop outcasts. 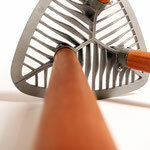 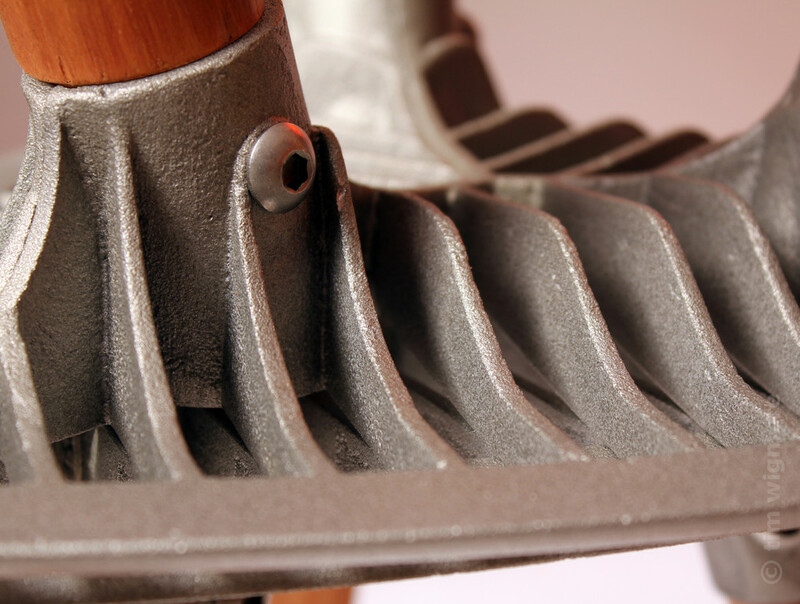 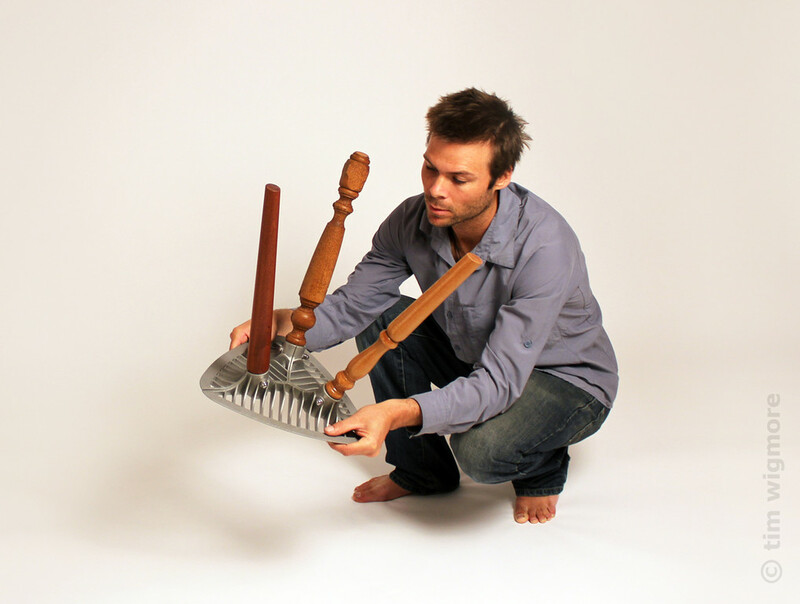 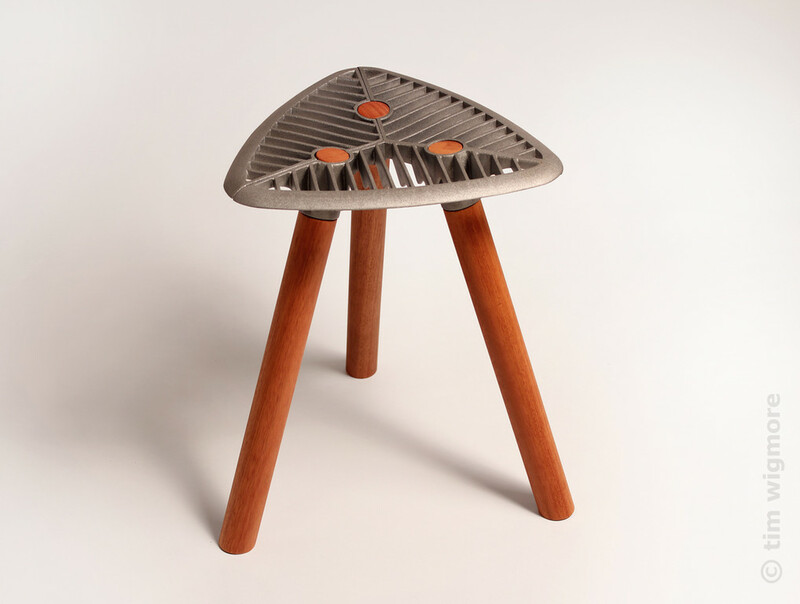 The stool top is composed of open aluminium grills tightly clamping turned timber legs. 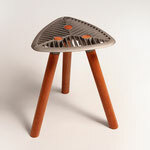 Fixed together with three bolts, the stool is an exercise in lightweight knockdown design. 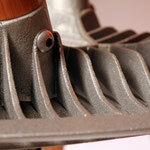 The design allows for a multitude of leg options and height variations to suit your style. 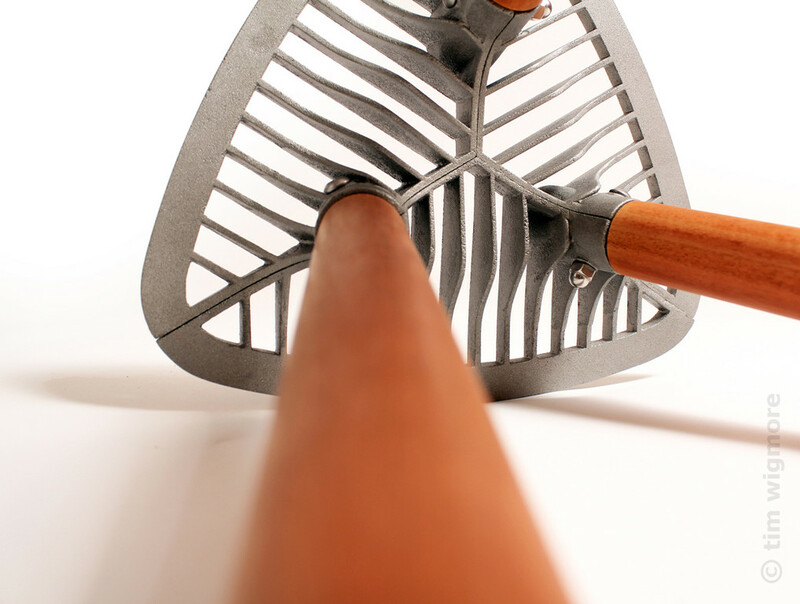 Materials: Cast aluminium (recycled), recycled wooden legs, balustrades or wooden dowel, stainless steel bolts.